Three years ago, Intel looked to have won the processor war. 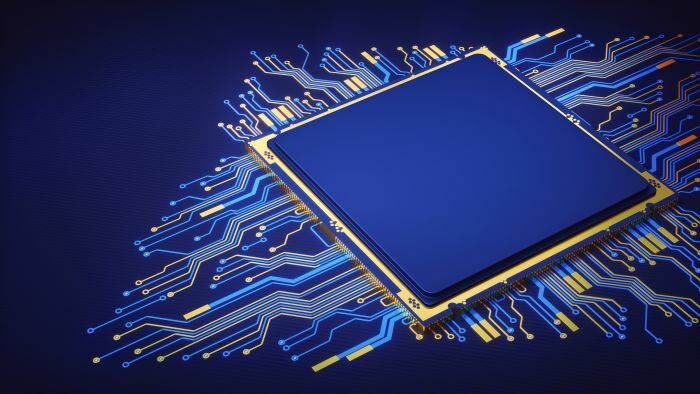 Intel chips dominated the top 10 best-selling CPUs of 2015 and 2016—all but shutting out AMD CPUs entirely in 2015—for our customers buying for business. For AMD back then, their narrative was one of survival. More than a few analysts predicted bankruptcy for AMD by 2020. Around the time the KCI report came out, industry voices pointed at what looked like one last hope for AMD to get back in the game. New engineering was on the horizon for AMD. Called Zen architecture, it promised a more affordable and more efficient desktop CPU. The Zen design took AMD’s existing 28nm and 32nm CPU processes (found in FX series CPUs and A8/A10 series APUs) and shrunk it down to a 14nm process. A smaller process meant lower material costs, and ostensibly a gain in performance. Still, the industry was skeptical. “Hopefully Zen will turn around their fortunes, but right now it is hard to know if it even can,” the technology writer Mark Campbell penned in May 2015. Indeed, 2017 would be different for Advanced Micro Devices. The Zen architecture arrived on time, with AMD announcing the first Ryzen-branded products in December 2016. The Summit Ridge chipset in Ryzen chips boasted an 8-core 16-thread CPU, a true 8-core chip this time, that showed significant multithreaded improvement compared to AMD’s 2011 Bulldozer chipsets. Topping out at 3.4 GHz, the base clock of the Summit Ridge family weren’t quite as pacey as Intel’s Skylake i7-6700K, its immediate competition. If you’re comparing strict per-core performance, a closer competitor might be one of Intel’s Haswell-e 5000-series chips, probably the Intel Core i7-5820K. But shortly after the January 2017 release of Ryzen, Intel seemed to recognize that competition was heating up. Industry buzz around AMD Ryzen 1800X was palpable. Customers gobbled up stock here and elsewhere, with the SKU falling out of quantity for a time in spring 2017. And before that, in February 2017, we saw prices drop for Intel’s Skylake processors for a few weeks, perhaps in response to AMD’s awakening vital signs. Later that year, in August 2017, AMD introduced the Threadripper CPUs for workstations, upping the ante and targeting a market cornered by costlier Intel Xeon processors. A behemoth piece of silicon, AMD Threadripper 1950X is in essence two eight-core Ryzen 1800X CPUs in one die—a 72mm x 55mm rectangle slotting into a TR4 motherboard socket. As 2017 drew to a close, NeweggBusiness sales numbers for CPUs saw four AMD desktop CPUs in the top five, and five in the top 10. However, it was an Intel Core i7-7700K, a quad-core unlocked processor, retaining the top spot in the desktop CPU category. It’s worth noting that CPUs are not the only thing playing into the resurgence of AMD: for the past two years its RX-series graphics cards have been in high demand as preferred GPUs for cryptocurrency miners—namely AMD RX 570 and RX 580 GPUs. After the end of year earnings report, stock analysts loved how the balance sheets turned out: AMD beat both top and bottom line projections, and the stock showed an astounding 73 percent year-over-year rise in Q3. Others noted there was still lots of work for AMD to do in 2018, fearing the kind of lapse investors have seen in years past. One major item of concern is AMD must show continued growth in the server and workstation CPU category, something it can achieve by ensuring their CPU hardware is secure. You can be sure that with follow-up to the Threadripper workstation CPU upon us, analysts will be keeping an eye on sales numbers in determining the overall health of the company. From consumers’ perspective, system builders are praising the competition bred by AMD’s new offerings and excited to see what it brings about for both AMD and Intel CPU technology down the road. In looking at the past 18 months for AMD, a few undeniable factors played into their turnaround. First, AMD served value-minded system builders with sub-$200 quad-core chips. They also targeted business customers by offering 10- 12- 18-core processors, making available high-performance workstation CPUs at a reasonable price. This article neglected to show the major driving force behind AMD’s resurgence. AMD has processors in the 2 major video game consoles. Sony Playstation 4 & XBOX One. Both consoles powered by AMD CPU’s and GPU’s, brought Sony and Microsoft record sales results. Good point. That’s not all AMD has going on in finished systems, either. We should see AMD chips turn up in Cisco UCS servers, Samsung 4K displays, and newer Dell EMC PowerEdge systems.